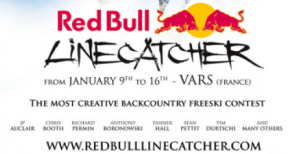 A quick one to present you the RedBull Line Catcher 2010, in Vars, FR. I confirmed my participation to this event, and wanted to present you the concept. “Send some tricks in the middle of a Big Mountain venue” … Easy, isn’t it ??? I would say that this kind of event represents the next level of Skiing !! Enjoy the teaser ;-) right here !! Greets, Mati.